Berlin. Forty years from today. A roiling city of immigrants, where East crashes against West in a science-fiction Casablanca. 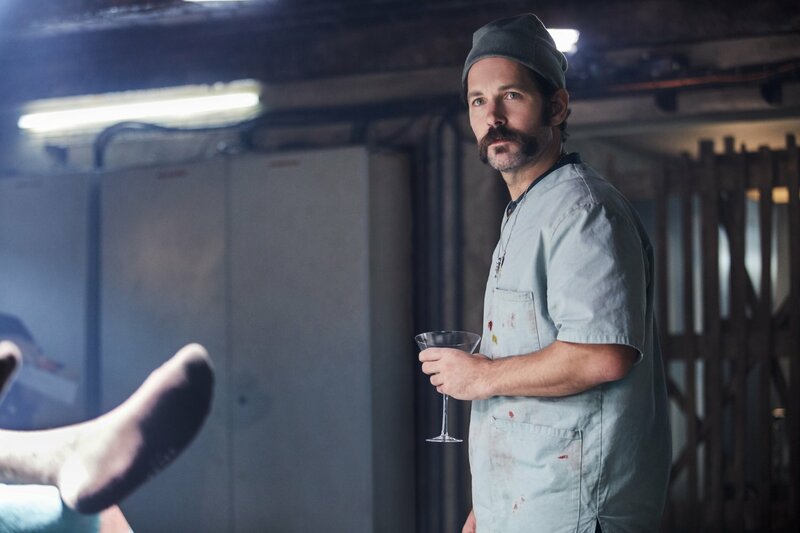 Leo Beiler (Skarsgård), a mute bartender has one reason and one reason only for living here, and she’s disappeared. But when Leo’s search takes him deeper into the city’s underbelly, an odd pair of American surgeons (led by Rudd) seem to be the only recurring clue, and Leo can’t tell if they can help, or who he should fear most. Doesn't give a date, just says available some time in 2017. That is a great mustache. Tyler wrote: Source of the post Who wants to watch this in VR? Buy me VR and I'll happily do that. I'm pretty excited for this too. Me! How do I do that?? Kath525 wrote: Source of the post Me! How do I do that?? Just like you were going to play VRchat with us on Friday....? We use BigScreen to watch movies. Watched this over the weekend due to the cast... nothing too spectacular about it. I know Duncan Jones has a taste for telling unusual stories. This is not a sequel to his movie Moon, they happen in the same universe, as there is an Easter Egg calling back to that movie in this. Some of the themes in this movie are disturbing, I am sure it will not sit well with everyone, mainly speaking of Justin Theroux's character who has a thing for young girls. Its a bit excessive, possibly not needed or over done. One issue of this movie is that it leaves too much to the viewer to come up with. Much of the backstory to the main character Leo (Alexander Skarsgard) is left open or just unexplained. You are given just enough for the set up into the events of the movie. The focal love story of Leo and Naadirah is heart breaking, but as you try to piece together everything I feel you lose the weight of what happened and Leo's motivations get lost. I think its worth a watch, but nothing I'd go out of my way to see again.